Felipão called the game “ugly”, but admitted that the important thing was the three points and finally winning again. Personally, I don’t consider Palmeiras’ performance that bad; the Verdão put considerable pressure on Ceará and finalized many times more than the team from Fortaleza, forcing their keeper Fernando Henrique to shine on several occasions. 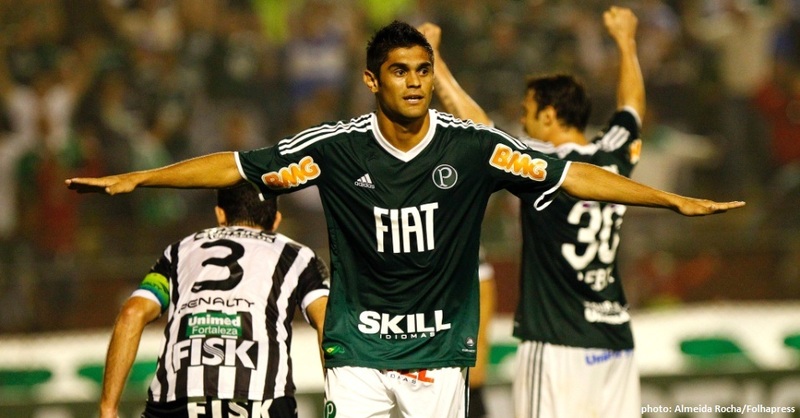 Also, the inexperienced referee chose to ignore two scandalously clear penalties in Palmeiras’ favour. In any case, one more goal scored would have provided more peace of mind as Ceará went all in the last 10 minutes and were dangerously close to the equaliser (in all honesty, there was also a penalty ignored for Ceará in the very last minute of the second half). Watch the highlights below. Yesterday’s result had Palmeiras advance three positions to seventh place, two points behind fifth-placed Fluminense who are currently holding the last ticket to next year’s Libertadores Cup. The main problem is still the creative force on the midfield, as Valdivia continues in treatment. Scolari has been insisting on Tinga, with little result. Kleber, visibly frustrated, has constantly been falling back to fetch the ball. There’s hope that recently contracted Pedro Carmona will prove the solution; we’re probably getting a first taste of the player on Sunday against Atlético Goianense. Atlético has been a bit of a surprise so far in the tournament and currently holds eleventh position, only four points behind Palmeiras; it will not be an easy task.